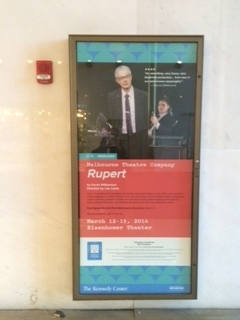 After months of preparation, the Rupert team took off for Washington D.C. over the weekend. And we weren’t the only ones sending them off with a big cheer: on their way through Melbourne Airport a customs official commented that he had seen one of the last Melbourne performances of Rupert, and that he wants a return season! 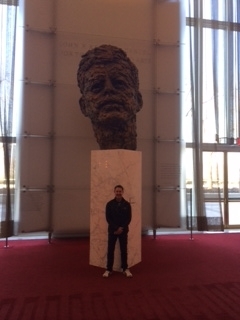 Having arrived in the US capital, the team took in some of the local sights before heading to the Kennedy Center. And then it was time for bump-in. 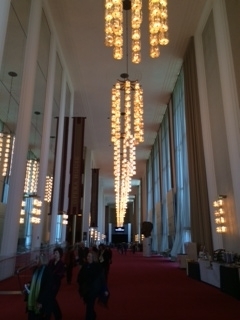 Our precious cargo was unloaded in just 55 minutes thanks to the lovely crews at the Kennedy Center, though they were a little confused by our references to ‘taking the lift’ – sorry guys, we meant ‘elevator’! 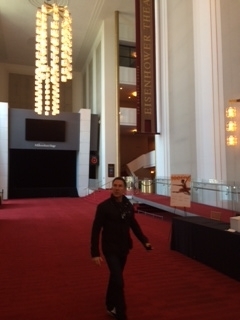 As we type our technical team will be setting up the lighting and AV in the Eisenhower Theatre, while members of the creative team, along with Artistic Director Brett Sheehy and Executive Director Virginia Lovett, are enjoying a Welcome Dinner hosted by the Kennedy Center. Tomorrow it’s time to rig up the kabuki silks, unpack the wardrobe containers and plot the audio and lighting, then head to the Ambassadorial Residence for a special event. 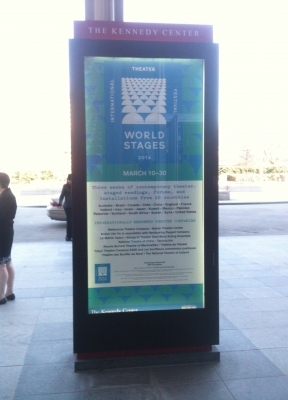 You can learn more about the World Stages International Theatre Festival on the Kennedy Center website and follow updates from the Rupert team on Twitter and Facebook, using the hashtag #mtcTour. Here’s one of our favourite tweets from Brett, a reminder of President Kennedy’s legacy to the Arts in America.